He is a full brother to Baldridge Isabel Y69 (Dam of Baldridge Bronc). 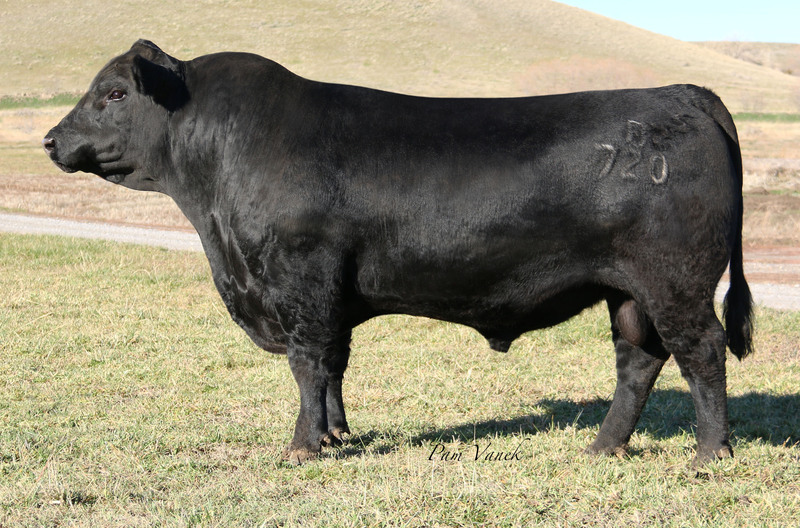 Best bull of the the flush of 9 that sold in the 2015 Baldridge Sale. His calves are jet black with a nice birth weight average of 72 lbs with lots of vigor. The weaned calves so far seem to be extra thick and deep with extra rib.